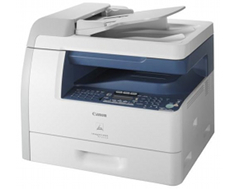 With a large 500 sheet paper tray included along with a huge 100 sheet multipurpose tray, the Canon Copier ImageClass MF6550 may be big, but is built for a steady, office level paper stream that is great for the small business. Decent print speeds and a full line print, scan, copy, and fax features make this unit an interesting choice for the office. The paper handling abilities of the Canon Copier ImageClass MF6550, with its stock 600 sheet capacity, is also expandable, allowing an additional paper tray to be added, bringing the unit's total storage capacity up to 1,100 sheets. 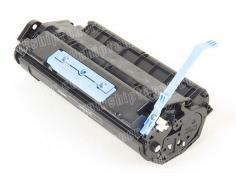 The duplexing functions of the unit are very convenient for a variety of applications and, though a built in duplexor significantly raises the initial cost of a unit such as this, automatic double sided printing can be an invaluable tool for creating unique looking output and reducing paper usage by as much as half. Other very unique copy functions included bind type duplexing, 2 to 2/book mode, and a calendar function, as well as the standard 2 to 1 and 1 to 2 features. The document glass is also exceptionally large in measures a full 14 in. long x 8.5 in. Pre programmed reduction and enlargement ratios include 50, 64, 78, 129, and 200%, and the 1% increment controls are also intact. Though the Canon Copier ImageClass MF6550 holds a lot of paper, its monthly duty cycle is very disappointing for a machine that is supposedly built for high volume. With a maximum monthly duty of 15,000 sheets, this machine would be better suited as a personal, desktop unit for someone with high printing demands, as opposed to those of an entire office. The unit's print speed rides the line with a very average 23 pages per minute. This lukewarm speed is hard to classify as a pro or con, but ultimately it is the price of the unit itself that demands more power. Other semi mediocre features include the very limited copy speed and zoom ratios of 50% - 200%. While these specifications should work fine for some, they are still more limited than those of other brands' on the market. The scanning functions of the device are shockingly limited, with an optical scan resolution of only 600 x 600 dots per inch. Color depth is also only 24 bit, as opposed to most units' 48 bit standard. Enhanced scans can be done up to 9600 x 9600 dots per inch, but interpolated scans such as this are very time consuming. 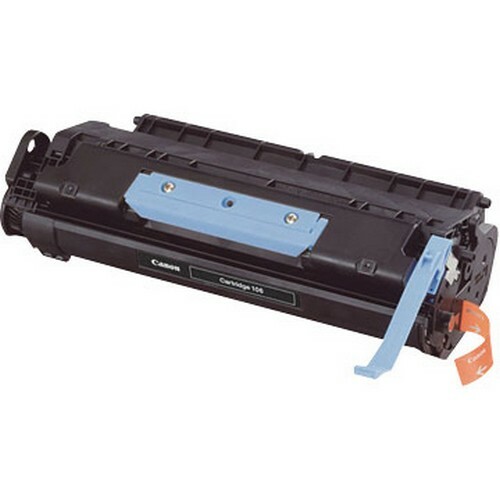 Review it: "Canon imageCLASS MF6550 "
It comes as a pleasant surprise that this Canon in the MF series includes a toner cartridge with a fairly high page yield. While other devices in this series run at 2,500 and even 2,000 pages, the Canon Copier ImageClass MF6550's cartridges can carry up to 5,000 pages of yield at 5% coverage. The device also utilizes Canon's single cartridge system that makes toner swapping easier than ever thanks to the abolition of the drum unit.